Annual check-ups are the best way to keep your heating and cooling running efficiently and prevent unexpected problems. 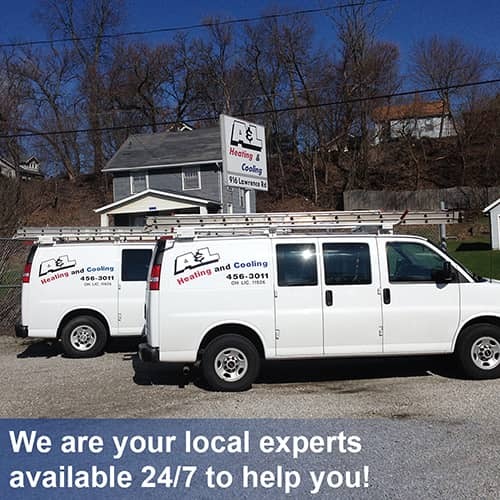 Our technicians provide expert servicing for your heating and cooling systems. Call and schedule yours early. Thermostat settings – We check for efficient operation and advise you on how adjusting your settings to fit your lifestyle can save you money. Electrical connections – We inspect all wiring and connections for corrosion and loose fittings, as well as measuring voltage and currents, to ensure efficiency and safety. Lubricate moving parts – Annual professional lubrication will keep parts running smoothly, extend the life of each part and keep your heating or cooling system efficient for its full life. Check drains – We check and clean the condensate drain in your central air conditioner, furnace and/or heat pump (when in cooling mode), to prevent water damage and potential mold and mildew growth. Test controls and on/off switches – We confirm safe operation of the starting system, including the starting and shut-off cycle, all switches and controls. Clean the Coils – We inspect and clean evaporator and condenser air conditioning coils to avoid wear on your equipment that is caused by buildup of dust and grime. 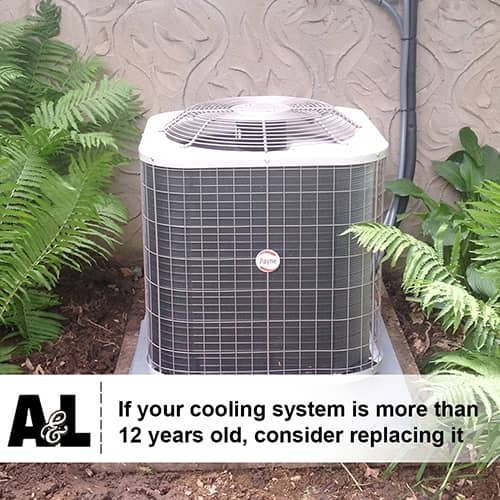 Coolant/refrigerant level – We check your central air conditioner’s refrigerant level and adjust as needed. 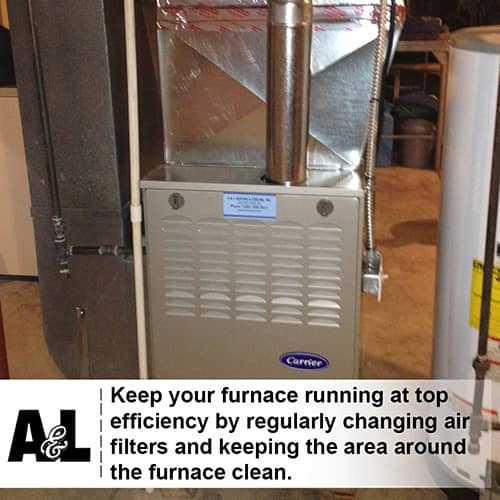 Blower and motor – – The blower fan and all components should be cleaned and adjusted annually to assure proper airflow and top efficiency of your system. 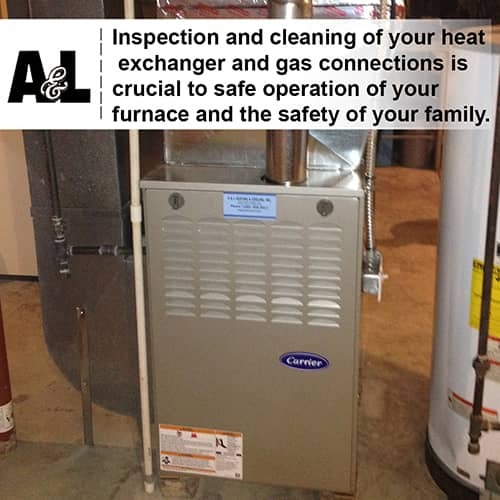 Heat exchanger and gas connections – A professional inspection and cleaning of your heat exchanger and gas connections is crucial to safe operation of your furnace and the safety of your family. Our experts also alert you to noises and smells you should be aware of and when to call for servicing. Heating source and vicinity – We thoroughly clean the area beneath and around your heating source and advise you of any debris or clutter that should be removed to keep your heating system running safely and efficiently. 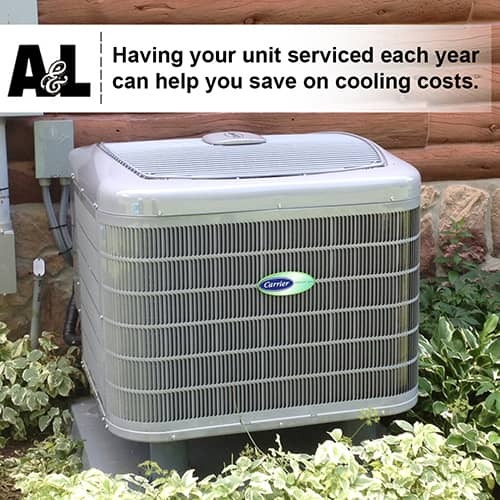 Your annual inspections of your heating and cooling systems are the most important thing you can do to keep your family comfortable and save you money on your utility bills. You also can get the most from your heating and cooling systems by sweeping and decluttering around the units and regularly changing the air filters. Our experts can show you how to do this and advise you as to how often, based upon your lifestyle and temperature trends.